Dr. Bali Pulendran is Professor of Pathology and of Microbiology and Immunology at Stanford School of Medicine. Previously he was a Charles Howard Candler Professor of Pathology and Laboratory Medicine, and Director of the Innate Immunity Program, and the NIH U19 Center for Systems Vaccinology, at the Emory Vaccine Center, Emory University in Atlanta. He received his undergraduate degree from Cambridge University, and his Ph.D from the Walter & Eliza Hall Institute, in Melbourne Australia, under the supervision of Sir Gustav Nossal. He then did his post-doctoral work at Immunex Corporation in Seattle. Dr. Pulendran’s work focuses on understanding the mechanisms by which the innate immune system regulates adaptive immunity and harnessing such mechanisms in the design of novel vaccines against global pandemics. More recently, he has begun to apply systems biological approaches to predicting the efficacy of vaccines, and deciphering new correlates of protection against infectious diseases. 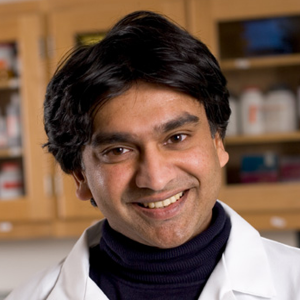 Dr. Pulendran’s research is published in front line journals such as Nature, Science, Cell, Nature Immunology, and The Journal of Experimental Medicine. Furthermore, Dr. Pulendran is the recipient of numerous grants from the National Institutes of Health, and from The Bill and Melinda Gates Foundation, serves on the editorial boards of The Journal of Clinical Investigation and The Journal of Immunology, serves on the Aids Vaccine Research Subcommittee, and is frequently invited to speak in the plenary sessions of many national and international conferences. 1995: The University of Melbourne, the Walter & Eliza Hall Institute for Medical Research, Ph.D.